Along with the bitter winds, wet rains and the overall dread of having to go back to work, January brings one absolute certainty: that retailers all over the country will be holding a big sale. Whether you’re wanting to buy a brand new stereo system, a pair of trainers or a particular brand of makeup, January offers shoppers everywhere with the chance to snag themselves a bargain. 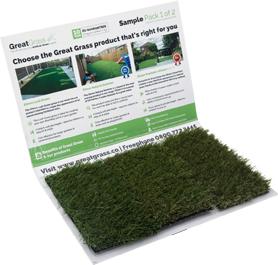 Well, the artificial grass industry is certainly no exception, and we’re going to be hosting an enormous sale here at Great Grass in the new year. Running from 6th-8th January 2017, our sale is going to provide you with an opportunity to get yourself some top quality grass at an unbelievable price. With so many different products on sale, we thought we’d give you a quick rundown on some of the grasses you can expect to see in our January clearance. This type of artificial turf is renowned for being incredibly hardwearing, strong and soft to the touch, making it one of the best kinds of grass out on the market today. With its incredibly deep shades of green and eye-catching colour, Vigo grass is perfect for any gardeners wanting to become the envy of the whole neighbourhood. With a combination of green and brown shades, Viano grass closely resembles the look of completely natural turf. This grass is friendly to pets and children due to its soft texture and durable surface, and you need to keep your eyes peeled for it to appear in our sale! We’ll be taking orders cut to size for all our grasses, and the Tatton is certainly no exception. Another grass with incredible colour and textures, you’ll be incredibly lucky if you get your hands on some at our special sale price! There will be plenty of different artificial grass products included in our January sale, and these are just a few examples of what you can expect to see!